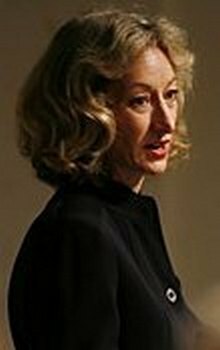 In 2006, California elected Debra Bowen Secretary of State to make our elections as secure as possible. Debra Bowen fulfilled that promise by establishing a Top-to-Bottom Review of California’s electronic voting systems. The review found that the voting systems were easily hacked, as many other studies have proven before and since.1 So she made the touchscreen machines available to people who needed them, but returned most of us to voting on verifiable, countable, paper ballots. That much is well known of Debra Bowen’s record, but much of she did never made the news or has been taken for granted. To set the record straight, what follows is a review of what she accomplished. In 2007, companies like Diebold were flogging their “world class” voting systems all over the state and country. In reality they were selling snake oil. The voting systems before 2007 then were very hackable.2 Guess what? They still are. I just reviewed a system 2 weeks ago with several avoidable security holes, and whose user interface hit a new low – for anything I have seen in this century.3 It’s only the conditions that Bowen placed on using such machines in 2006 that limited the risk of using them. 8 years later, I am not aware of any state, other than maybe New York, that matches California. Thank you, Debra Bowen. Think back to the messes that were Florida 2000, and Ohio 2004. Remember Katherine Harris? Ken Blackwell? Many Americans don’t know it, but the current Ohio Secretary of State, Jon Husted, was authorizing the installation of unknown “experimental patches” on ES&S voting machines just weeks before the 2012 presidential election.4 This is without mentioning the numerous state officials who were purging voter rolls and implementing voter ID laws, just to suppress American votes across the country. Even in California, in 2015, the republican candidate for Secretary of State, Pete Peterson, astoundingly declared that “it has never been shown that a DRE (touchscreen) machine has been susceptible to fraud.” By comparison, Debra Bowen is an all-star. Just this summer (2014), in the very close statewide race for controller, Asm. Perez had to pay for a partial recount. Out of 30,000 recounted ballots, the results changed by less than a dozen votes. Out of 30,000. I was told yesterday that a similar recount was conducted for a San Diego city council race. One vote changed. One. It is important to note that in California, we can recount the paper ballots, and that the system worked where it was checked. Thank you, Debra Bowen. Debra’s innovative security conditions way back in 2007 included (a) compilation and delivery of the software to the counties by the Secretary of State, not by Diebold and friends, (b) sequencing the use of several election management systems to avoid virus propagation, and (c) effectively restricting the use of touchscreen machines in most counties to one per precinct. The last point is what put many of them into warehouses, and brought most of California back to paper ballots. Without those paper ballots, any hand recount, including the controller’s race, becomes exceedingly difficult. Thank you, Debra Bowen. Many county registrars were against Secretary Bowen from the get-go, and a couple of them filed a lawsuit in 2007 because they wanted to keep using their secretive voting machines. But the judge ruled that Debra Bowen was doing her job. In the summer of 2013, we saw a smear campaign targeting Debra Bowen. The campaign included insinuations that she was responsible for the thousands of voting machines that county registrars bought before she became Secretary. Computer scientists and election integrity advocates warned the registrars that the machines were hackable. They are now sitting in warehouses. Debra Bowen did what California elected her to do, toss out the junk. Thank you, Debra Bowen. The smear campaign pointed out that the state’s computer systems needed upgrading, including for business licenses and campaign finance. But Bowen faced large-scale budget cuts during her tenure, 25% or more. Many of the complaints came from the very quarters that took delight in jamming up Sacramento for so many years and now want to blame someone else for the results. No thank you, irresponsible critics. There were complaints about the voter registration system. Again, they didn’t tell you about the budget cuts and about procurement procedures that are a tangled nightmare. Add into the mix a lone bidder for the job that couldn’t deliver, and Bowen had to restart the whole project, long procurement procedures and all. I’ve seen plenty of tech projects in private industry that bombed, one for half a billion dollars. Making complex computer systems work is very difficult. Being in government doesn’t make it easier. PEW research participated in the smear, claiming that California’s elections ranked near the bottom. In that ranking, they failed to include the most important question: who has the most secure vote collecting and counting systems in the country? Because Debra insisted that it be based on paper ballots, California should be near the top. Thank you, Debra Bowen. Then there is the critical work behind the scenes that this and a few other advocates witnessed. To start, there has been for over a decade, a push to introduce Internet voting (IV) across the country. Putting a paperless, therefore unverifiable voting system on the wild west that is the Internet is reckless, and a very serious long-term threat to our elections.5 Yet numerous elections officials and politicians think it’s a great idea. But that does not include Debra Bowen and the vast majority of cybersecurity experts.6 For three years running, 2011, 2012, 2013, bills were introduced in the California legislature pushing for Internet voting. Advocates went to Sacramento each time to explain why not.7 In 2011 and 2012, there were just three of us testifying before the Assembly elections committee, against the guys in the fancy suits who were telling us that it’s inevitable. Just three of us … and Debra Bowen’s representative. In 2013, a push for an Internet voting pilot (AB 19) came from some of the leaders of the Democratic Party. The Secretary of State and many advocates said “no”. Democracy won. We blocked all three bills. Thank you, Debra Bowen. On the national level, the Pentagon has been pushing Internet voting since before 2003. In 2010, in Washington, and 2011 in San Francisco, the Pentagon hosted conferences to launch a pilot IV project. At both those meetings, they got heavy resistance from cybersecurity experts and from Debra Bowen’s Deputy Secretary of State, Lowell Finley. We succeeded in stalling the pilot project and finally, this year, due to long, hard lobbying by Verified Voting, killing it. Thank you, Verified Voting, Lowell Finley, and Debra Bowen. In 2013, election integrity advocate, Tom Courbat, got a groundbreaking bill introduced, AB 813 (Melendez), to post detailed precinct reports on the Internet. We made a call to Evan Goldberg, Debra’s chief of staff, who saw to it that AB 813 got Debra’s support. It sailed through the legislature unopposed, and became law. Thank you Tom Courbat, Melissa Melendez, Evan Goldberg and Debra Bowen. In 2014, Senator Alex Padilla introduced SB 360, a bill designed to make it legal for Los Angeles County to build a brand new voting system. The final version of SB 360 streamlines the development process, and I am looking forward to seeing what LA comes up with. A critical component of that bill was jettisoning federal testing, and replacing it with complete testing by the state of California – at least as good as the federal testing. You have to be a policy wonk to know this, but the politicized, and corrupt federal Election Assistance Commission (EAC) rejected version 2.0 of their own voting system guidelines, in spite of the fact that it had been endorsed by the National Institute of Standards and Technology (NIST). The EAC is still just using version 1.1. Late in 2013, Bowen’s office announced that they were writing the new state guidelines. Included in the 170+ pages of those guidelines are two critical sections from version 2.0 concerning testing and disability requirements.8 Those guidelines will become official in April. They are the best voting system standards in the country. Thank you, Secretary Alex Padilla, Lowell Finley and Debra, Bowen. Over the years, when the issue was vital – fair and accurate elections, California could rely on Debra Bowen and her staff doing the right thing, right. She put the high standards and staff in place that make California a great place to vote. Thank you, to the entire SoS staff, and to Debra Bowen. Debra Bowen, Best SoS in the U.S.! Thank you Debra Bowen! Wish we could get her appointed to head the EAC. For those who pay attention, Debra Bowen is indeed a person Americans are indebted to. I only wish more of them knew it. 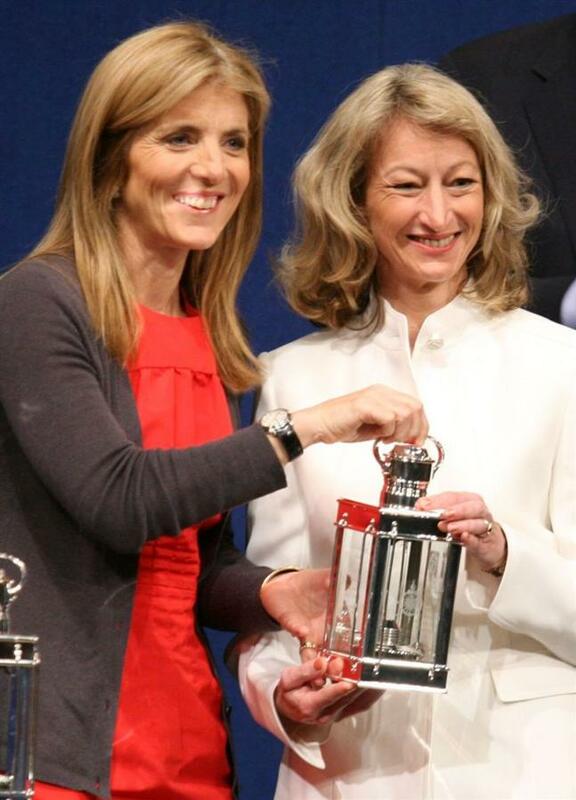 Debra Bowen receiving the Profiles in Courage Award from Caroline Kennedy, 2008.